2017 Asia Pacific network printing as printing and digital printing/show,2017 Asia Pacific screen printing digital exhibition at the Shanghai grand opening-Guangzhou Xingyan Heat Transfer Equipment Co.,Ltd. "On August 9, 2017 in the Asia Pacific network printing as printing and digital printing/show/China the context of the China international digital printing industrial technology" in Shanghai new international expo center hall N1 N2 - grand opening, the exhibition by the screen printing and system like association, China print and like association, guangzhou guangdong exhibition exhibition co., LTD. The main host.This exhibition is huge, the collections at home and abroad more than 400 power brand, almost covers the whole category of big shots.On this basis, the sentiment hit a peak, on its audience roof. The exhibition site, the whole new product category and interactive activities, making the exhibition this year popular rising again, multiple zones sentiment, on an endless stream. Impression of CLS runway shows, the 18th annual macro cup gold award show, SGIA education training, the part of beautiful your screen printing + digital show me his creative work, the new value of the new digital value innovation Reengineering bon beltway, wonderful activities such as sharing industry trend trend and key data. Asia Pacific network printing like exhibition has been leading the industry with high quality service development, successive exhibition in service quality, exhibition, internationalization, and brand image, etc. Put into use this year to further improve the quality of service, and show the latest registration invitation system, upgrade invited buyers program, to create a VIP lounge, rapid registration channel, planning a business area, the audience area etc, grasp the trend, promoting exchanges, to help deal, to provide the exhibitors and visitors a comfortable business environment, and through the offline matching communication, for exhibitors, procurement enterprises establish an effective communication platform. 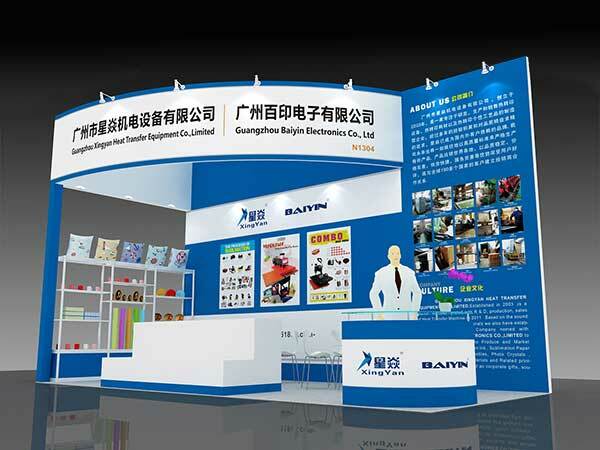 Show will be continued to 11, over more than 400 brands, exhibits for review, also many theme, it is necessary to speak the BBS industry's top service to your experience.Asia Pacific network printing like 2017 continue to meet with you in Shanghai new international expo center hall N1, N2,!